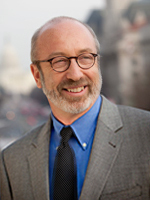 Michael W. Klein is the William L. Clayton Professor of International Economic Affairs. He served as the Chief Economist in the Office of International Affairs of the United States Department of the Treasury from 2010-2011. He is a Research Associate of the National Bureau of Economic Research, and the Founder, Research Director, and co-Executive Editor of "EconoFact," a website that provides economic analysis on timely policy issues (econofact.org). He has been a visiting scholar at the International Monetary Fund, the Board of Governors of the Federal Reserve, the Bank of England, and the Federal Reserve Banks of Boston, New York, San Francisco and Dallas. His research and teaching focus on international macroeconomics. He has published three books and over two dozen articles on topics such as exchange rate policy, international capital flows, the impact of trade on the U.S. labor market, and the determinants of foreign direct investment. His research has been supported by grants from the Upjohn Institute for Employment Research and the Bill and Melinda Gates Foundation. He received a PhD in economics from Columbia University and a B.A. from Brandeis University.